Original story: Authorities are searching for a missing Sagaponack, New York woman who went missing on October 10, 2015. 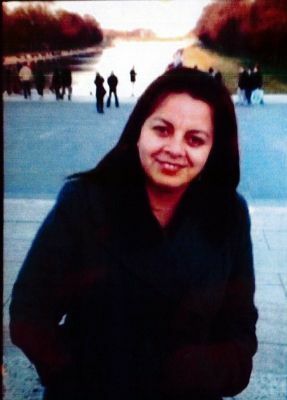 Lilia Aucapina, aka Esperanza, was last seen on Montauk Highway in Wainscott, and reported missing the following day. The police have searched the area but have not been able to locate her. Last week, Carlos R. Aucapina, 50, Lilia’s estranged husband was arrested twice in East Hampton on a misdemeanor charge of criminal contempt related to an incident that took place before Lilia went missing. According to the court records, Carlos approached Lilia and Angel Tejada in a parking lot at the Meeting House Lane Medical Practice. Angel called the police and they arrived to mediate the issue. Angel stated that Carlos was jealous of their relationship. Also, Lilia’s brother showed up and “started saying bad stuff to Lilia, and he was trying to start a fight with me,” Angel told the East Hampton Star news. During the court hearing, Carlos’ attorney stated that Carlos had already posted bail with the help of family and friends. It also came out that Lilia had filed an order of protection against Carlos, and Carlos was not in violation of it because he had to travel past Lilia’s home in order to get to his job. The police with K-9 and all-terrain vehicles and air have searched for Lilia without success. Lilia is 5’3″ tall, 130 pounds with medium length black hair and brown eyes. She was wearing blue jeans, brown boots and a black winter jacket. If you have any information on her whereabouts please call the police at 631-702-2230.